Happy Birthday to Vaun Wilmott and Simon Merrells! Today marks the birthday of both Vaun Wilmott, the creator and showrunner of Dominions, and Simon Merrells, the actor who portrays Julian. 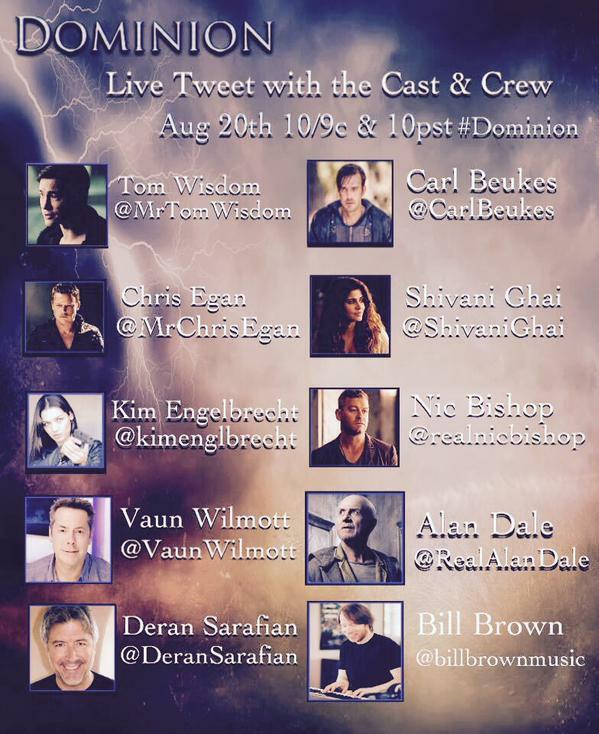 The Dominion fans would like to wish them all the best and a wonderful day! Happy Birthday to Roxanne McKee! Today marks the birthday of Roxanne McKee, the actress portraying Claire Riesen. 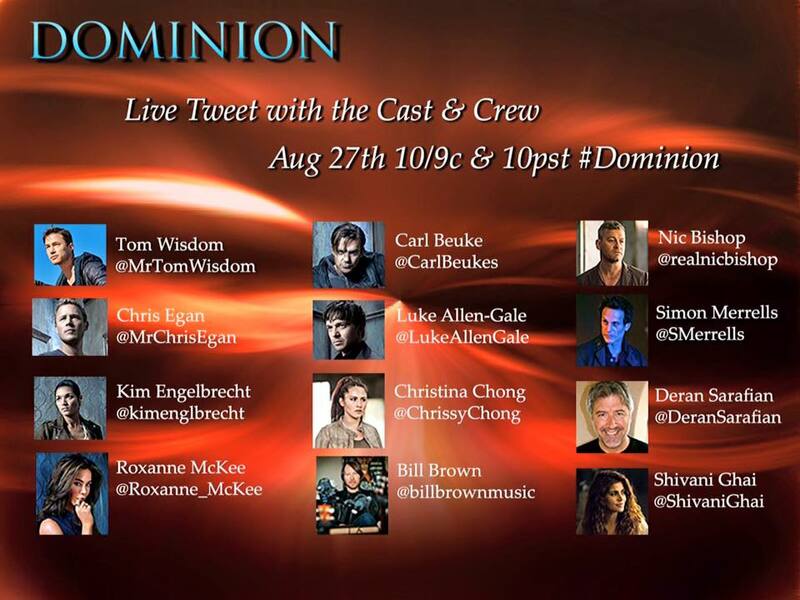 The Dominion fans would like to wish her all the best and a wonderful day! This Thursday, we’re live tweeting with a special theme: Angel Scouting. The task is simple. Find an angel near you and snap a picture. Can be anything, from a statue to a photo, painting, ornament, etc. 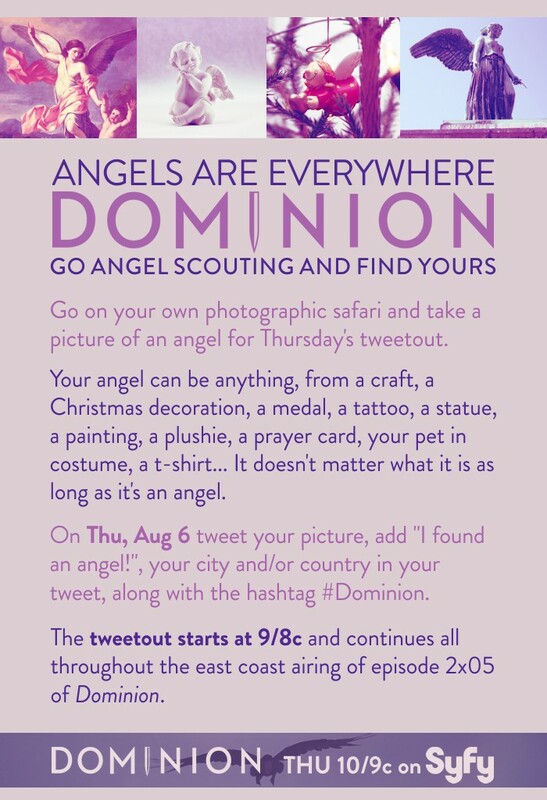 On Thursday, during the tweetout (Aug 6 from 9/8c onwards), tweet your picture with the words, “I found an angel!” and mention where you’re from. 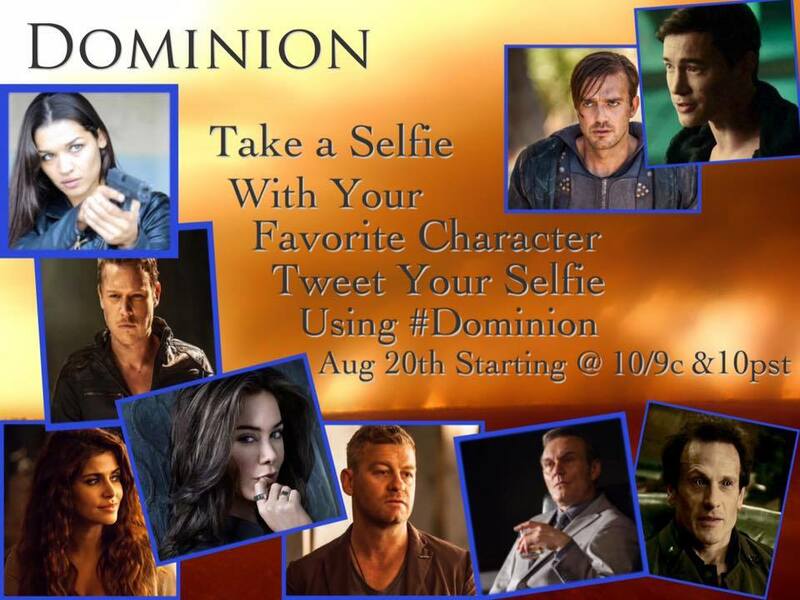 Don’t forget the #Dominion hashtag! Have you seen episode 2×04? What did you think? As usual, it’d be wonderful if you could support the show and add your user rating on IMDb and TV.com, and also complete the SpoilerTV poll. 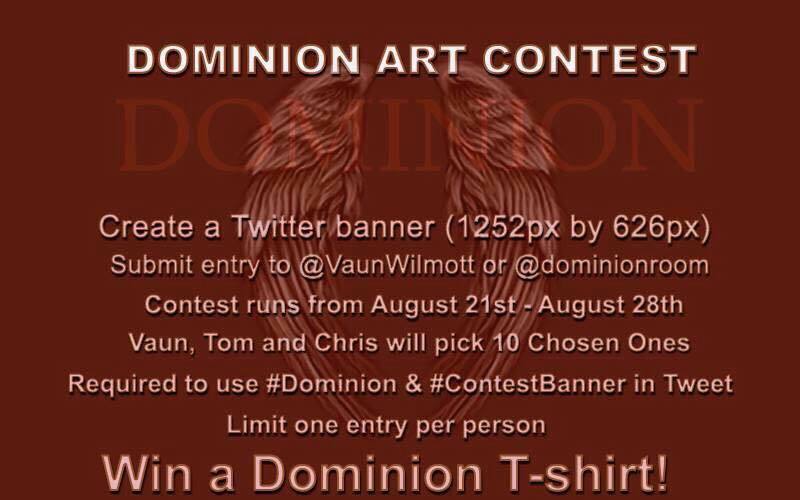 Updates on the official Syfy website: ‘Inside Dominion’ for episode 2×04, Dominion Backstage Workshop Explosion, trailer for episode 2×05, more recap videos from episode 2×04 in the video section. New Delphi and its leader Julian. We’ve added new stills from episode 2×06. May be slightly spoilery, so proceed with caution. 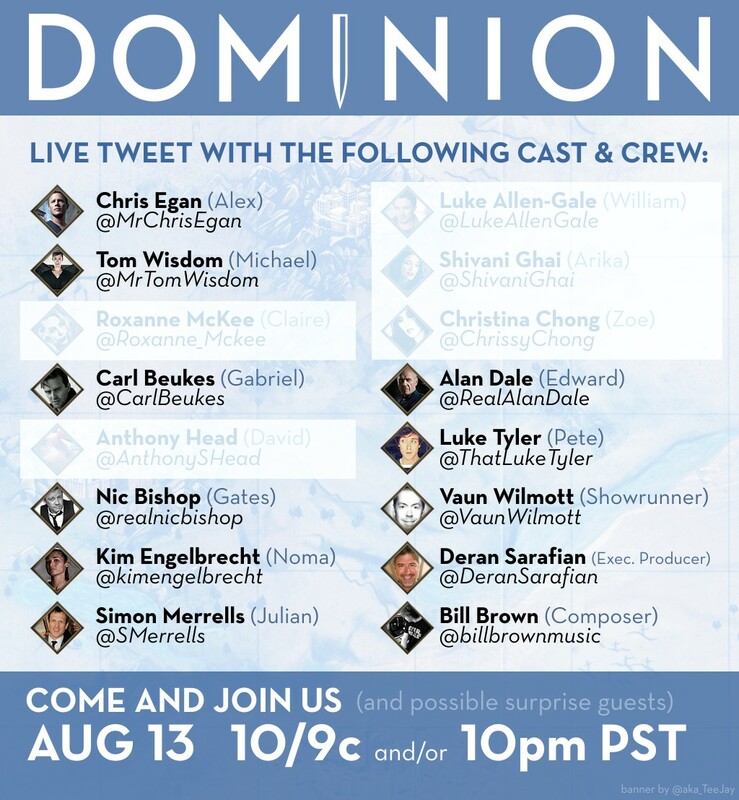 Vaun Wilmott did another one-hour Periscope chat last week. You can find a video of it on YouTube if you missed it. Lots of interesting tidbits in that one!